Winter is here in all its glory, but that’s hardly a reason to remain couchbound. ?For those wondering what to diarise this July, we’ve put together a guide to 10 of the best events happening in Cape Town this month. Disney on Ice presents?Dream Big,?a new show that sees Tinker Bell take audiences on an enchanting pixie-dust filled journey of beloved Disney tales. The show follows eight Disney Princesses – Ariel, Belle, Cinderella, Rapunzel, Tiana, Jasmine, Aurora and Snow White – who embark on incredible adventures, determined to make their dreams come true. Cape Town Opera presents the award-winning and critically acclaimed?Mandela Trilogy,?a musical tribute to the life of Nelson Mandela. The production takes audiences into his unknown early life, then through the heady and rebellious jazz-fueled days in Sophiatown, and finally, the low times he had in prison on Robben Island. 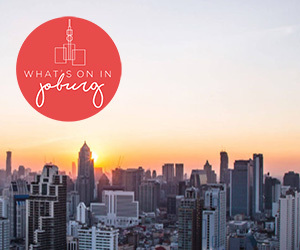 For regular updates on the best events in Cape Town?subscribe to our weekly newsletter.